Aside from sushi, temples, karaokes, pachinkos and electrical gadgets, Tokyo is also well-known when it comes to fashion – and not the ordinary ones. Around the area, you can see people of all ages wearing not-so-normal stuffs from maidservant to geisha to anime to Disney characters to tribal costumes. And they seem comfortable with these statements. 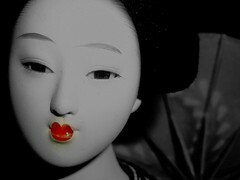 Weird, maybe, but that’s the way it is in Tokyo. 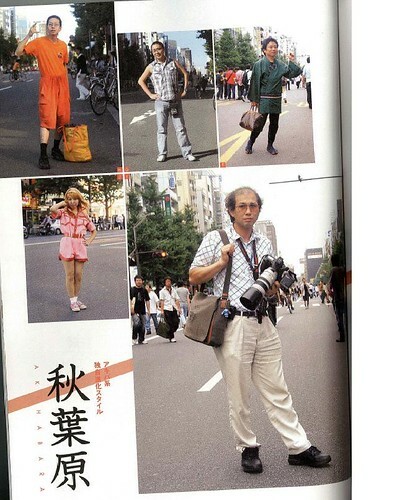 Perhaps the diversity of the fashion sense in Japan, specifically in Tokyo, was the inspiration behind the publication of Tokyo Graffiti magazine. They claimed to be the magazine of the new generation and one of their regular features is the street snap wherein they highlight Japanese as well as foreigners fashion statement of the day and whose get-up is catchy enough to be noticed (just an assumption though, hehehe). Earlier , I wrote about an unexpected experience I had in Akihabara wherein a fashion editor asked me for a photograph. It caught me by surprise then, but I gave in to her request. She explained that my picture will be included on their next issue. Come October 25, the latest issue of Tokyo Graffiti was published and made available to the public. Out of curiosity and maybe a bit of excitement, I checked a local bookstore for the said issue, scanned through the pages and indeed, true to her words, I was there along with four Japanese 10-minute models. Hehehe. At 480 yen, I bought the magazine and just can’t fathom why I was included since I believe that what I wore that day is considered a normal casual wear. And one more thing, out of the four poses during the ‘shoot’, the one I liked least was the one that hit the page. Very amusing! All content was in Japanese except for my name of course, which was wrongly spelled. Haha! It was such a crazy experience. Having my photo on a Japanese magazine seems surreal but on the other hand, it serves as a stamp to my stay here in Japan. Grabbing a copy of the magazine just 9 days before leaving Japan is nothing but a worthy remembrance on my part. It happened only once and may not happen again. So be it. Hai! I showed the issue also to my Japanese officemates and almost all of them replied with a grin. Haha! I just don't know what their grins mean. Funny thing is that my mother still jokes about it every time she sees the magazine. It is now one of my prized possessions. Well, my father is still asking me if it’s me indeed on that page. Anyway, thanks for reading. the others are "models" also? ?in that case you are the only sane model,hehehe...keep up the good work,tomai!! It's good to see you here. I discovered the Writers Island last week when I was invited by Rob Kistner, the mind behind the creation of the island to check out if I'm interested to become an Islander. I thought it is cool and the community is really great. This is a great write of that moment - your 15 minutes of fame. But since you have the copy of the magazine, the fame is extended to a lifetime. And in a foreign magazine at that. Keep the copy to show your grand children in the future, it would be intereting for them to know that once, there lolo is in the page of a magazine. Isn't it cool? Hehehe! Moments like this are precious and should be treasured. You just don't know when you're going to get another shot of 15 minutes fame. postscript: By the way, are you back to Thailand? That's great! Fun! Nice post! @Jeques, lol, yes, its quite strange and unusual at the same to pose in the busy streets of Tokyo but it was fun after all. hehe. Oh such moments are best, esp. the ones we least expect...and it's great to have occured in a different country too..thanks for sharing.